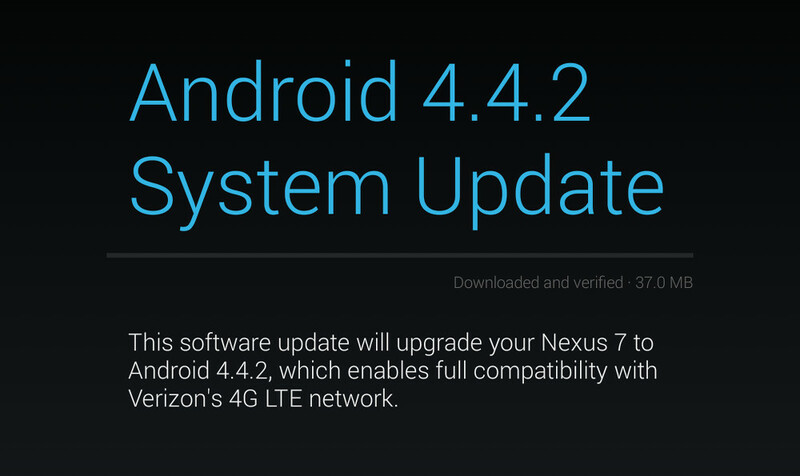 The Nexus 7 (2013) with LTE has received a 37MB update this afternoon that “enables full compatibility with Verizon’s 4G LTE network”. The screenshot also mention Android 4.4.2 is also in tow, as we recall Android 4.4.2 was released long ago for Google’s slate tablet. This brings the new build number to KVT49L.